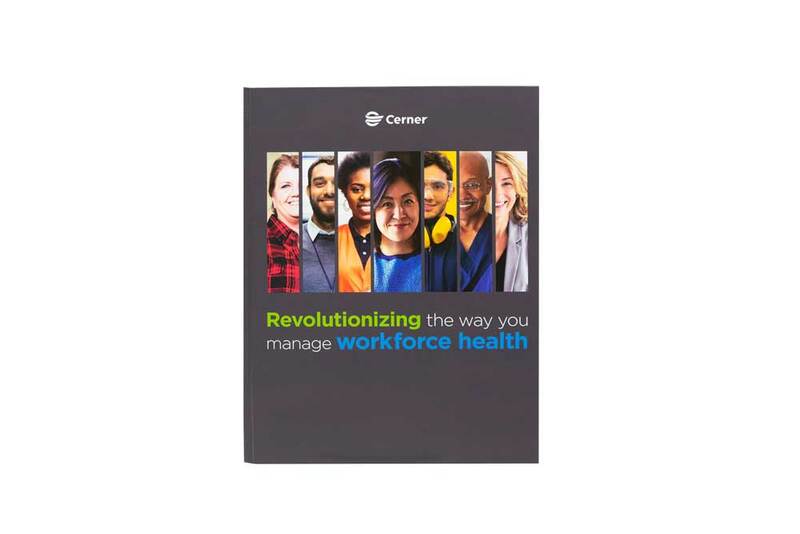 Cerner, a leading player in workforce health, needed a strong B2B marketing brochure to support its latest offering. It promised to “revolutionize” the industry and thus was looking for a state of the art communication device to share its story. 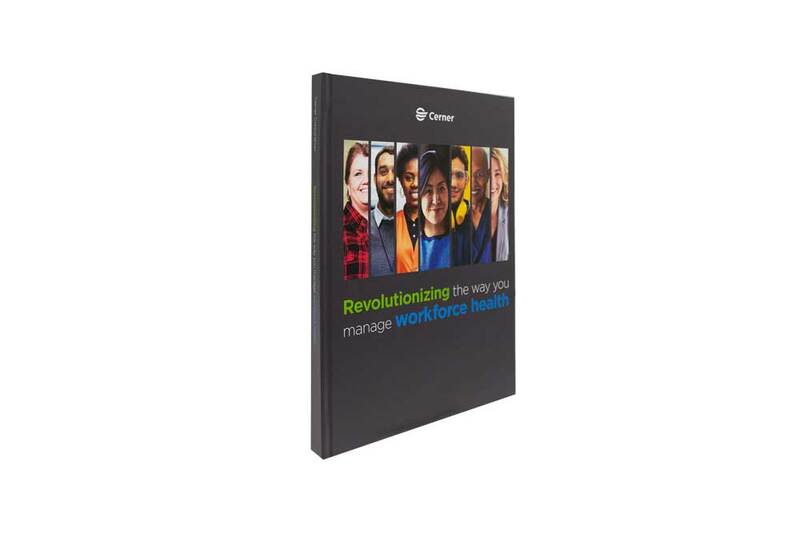 Share your innovative solutions with our revolutionary Video in Print technology. And, to truly impress your key customers and prospects, put Americhip’s proprietary Page-Turning Trigger Technology to work so that each new video story starts automatically when a page is turned. 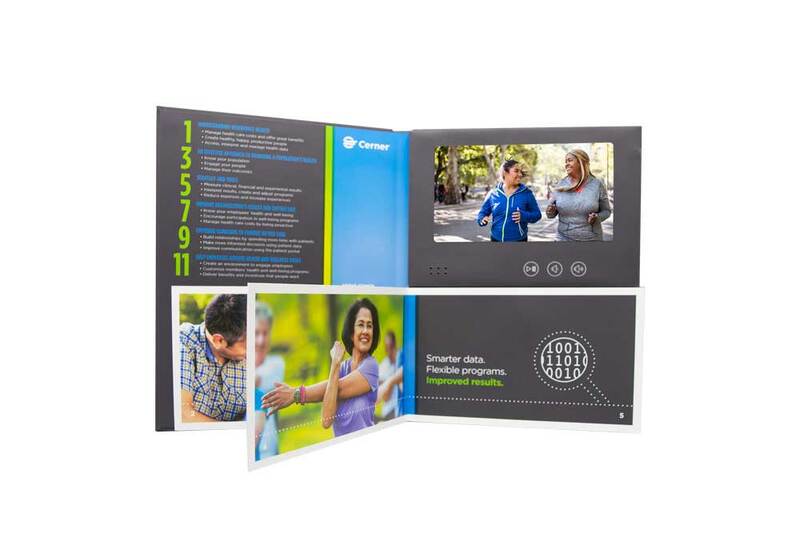 Americhip’s Paper Engineers situated the video screen on top of the half-page spreads so that consumers were able to watch the videos while reviewing the information on each spread and then begin a new video automatically each time they flipped the page. Deliver your brand story in style with Americhip’s Video Brochures.